Misaligned big toe joints that can become swollen and tender, causing the first joint of the big toe to slant outward, and the second joint to angle toward the other toes. Bunions tend to be hereditary, but can be aggravated by shoes that are too narrow in the forefoot and toe. Surgery is frequently performed to correct the problem. A condition, usually stemming from muscle imbalance, in which the toe is bent in a claw-like position. It occurs most frequently with the second toe, often when a bunion slants the big toe toward and under it, but any of the other three smaller toes can be affected. Selecting shoes and socks that do not cramp the toes will alleviate aggravation. Growths of bone on the underside, forepart of the heel bone. Heel spurs occur when the plantar tendon pulls at its attachment to the heel bone. This area of the heel can later calcify to form a spur. 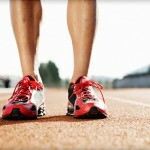 With proper warm-up and the use of appropriate athletic shoes, strain to the ligament can be reduced. Toenails whose corners or sides dig painfully into the skin. Ingrown toenails are frequently caused by improper nail trimming, but also by shoe pressure, injury, fungus infection, heredity and poor foot structure. Women are much more likely to have ingrown toenails than men. Ingrown nails can be prevented by trimming toenails straight across, selecting proper shoe style and size – not too tapered or shallow – and paying special attention to foot pain. Enlarged benign growths of nerves, most commonly between the third and fourth toes. They are caused by tissue rubbing against and irritating the nerves. Pressure from ill-fitting shoes or abnormal bone structure can also lead to this condition. Treatments include orthoses (shoe inserts) and/or cortisone injections, but surgical removal of the growth is sometimes necessary. Usually caused by an inflammation on the bottom of the foot. Our practice can evaluate arch pain, and may prescribe customized shoe inserts called orthoses to help alleviate the pain. Inflammation or rupture of the two small bones (sesamoids) under the first metatarsal bones. Proper shoe selection and orthoses can help. Pain to either side of the leg bone, caused by muscle or tendon inflammation. It is commonly related to excessive foot pronation (collapsing arch), but may be related to a muscle imbalance between opposing muscle groups in the leg. Proper stretching and corrective orthoses (shoe inserts) for pronation can help prevent shin splints. Incomplete cracks in bone caused by overuse. With complete rest, stress fractures heal quickly. Extra padding in shoes helps prevent the condition. Stress fractures left untreated may become complete fractures, which require casting and immobilization.